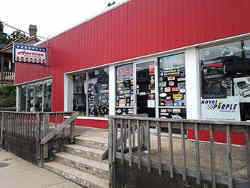 American Speed Center is a speed shop that was established in 1973. Today, we sell all automotive parts and accessories for all vehicles old and new. Attention Norwegian Customers: We ship containers to Norway every few weeks as well as UPS and Postal daily. At American Speed Center we are true wheel and tire experts. We carry all major brands and can get hard to find parts for any make, model or application. 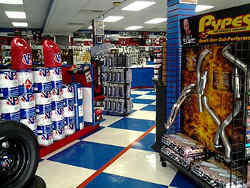 See us for our full line of truck accessories and diesel performance parts. We help you find the hard to get restoration parts for your classic truck or car. We are a traditional speed shop that offers parts and accessories for classic cars as well as modern cars, diesel trucks, imports, and more. 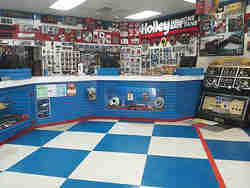 We carry many parts in stock and can get almost anything in 1-2 days. We give each customer the time it takes to get it right. Our expert knowledge and personal attention is what sets us apart from the big online retailers. Plus, we'll meet or beat their pricing. For over 40 years we have been helping both enthusiast and professionals get the right part for the job.